I’m not one for gimmicky marketing, so I was a little apprehensive when I first picked up the Gigabyte GM-Raptor gaming mouse that promised to be the best FPS mouse on the market. In my experience, gaming peripherals that promise best-in-class features and performance for a particular genre end up making far too many compromises on conventional ergonomics or functionality, all for some minute advantages in-game. The Gigabyte GM-Raptor gaming mouse is not my cup of tea aesthetically. It’s asymmetric, looks really rubbery (unlike a lot of mice, it doesn’t have that sleek finish that doesn’t seem rubbery until you actually hold it), and the lighting is one-dimensional. It’s a little small for my larger than average hands, so I was forced into a claw grip with this one, something I wouldn’t want to put up with long-term. It’s not a thorough disappointment, though. Being an “FPS gaming mouse” it has that one qualifying feature: a push and hold DPI toggle a.k.a “sniper button”. Works like a charm, so no complaints there. The scrolling wheel is rubberized, has good resistance to it, and feels good to notch up and down. All my up and down movements registered perfectly despite my quick changes of direction. 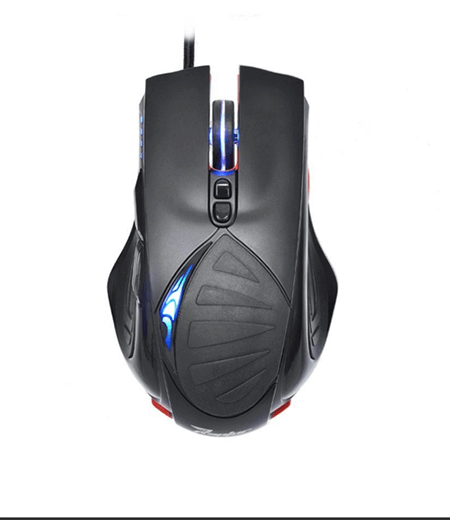 The mouse can hold 4 different DPI profiles (DPI ranges from 200 to 4000), with an LED indicator to show you which one you’re currently on, which is pretty cool. This is not to be confused with the customization profiles, of which 5 can be stored in memory (key bindings, lighting). 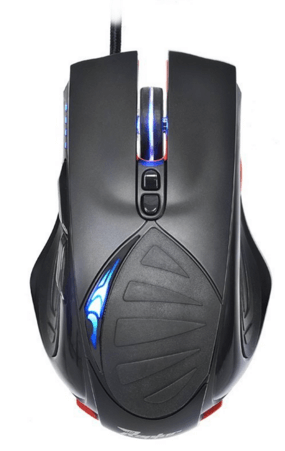 The mouse also has an adjustable weight system, with 6 weights supplied. Despite its asymmetric design, the mouse does still work as ambidextrous shape, so you’re good to go even if you’re left-handed. However, due to there being only one button on the right side (which would be the “thumb side” for a leftie), you’d have to be really out of options (or money) to pick this up. It is hardly one of the best optical gaming mice on the market. However, it’s a great option in the cheap gaming mouse category. I had a go with the Gigabyte GM-Raptor on two of my favourite FPS’, Call of Duty and CS:GO. The mouse performed pretty well, the sniper button came in handy, and it glided very well on my mouse pad. The clicks are a little heavy, but that’s not always a bad thing. It felt good in my hands, but I wasn’t too impressed with the responsiveness of the DPI switching, where the lag was noticeable. I don’t personally switch too often, but for gamers who do, this could be a deal breaker. 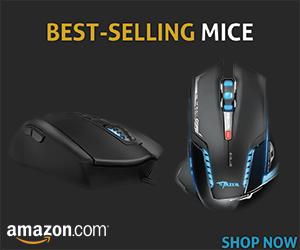 Overall I’d say you get what you pay for with this mouse. This is a decent CS:GO gaming mouse, it’s inexpensive, does the job, comes with the necessary feature(s) to give you a slight advantage in FPS games, but is nowhere near top of the line. I would consider it if on a tight budget, but would advise saving up for something a little better if possible.